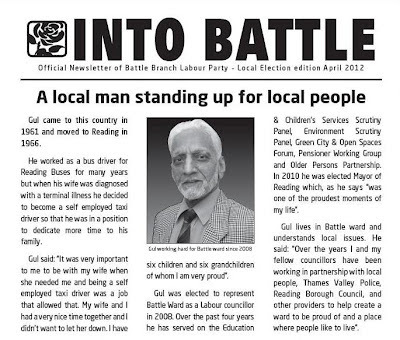 Battle Ward Labour Party and councillors produce several Into Battles a year. There are copies of past editions linked in the pages above. We feel it's important to let residents know what we are doing for them as their elected representatives and that we are working hard for them on the issues that are important to residents of Battle. So, hot off the press and not even printed yet, the Into Battle Election Special. Click on the picture for the full edition. Battle residents should have one delivered to them shortly. Let me know if you don't. Will Reading MP's vote against the 'Granny Tax'?